This book aims to rehabilitate kinetic modeling in the domain of polymer ageing, where it has been almost abandoned by the research community. Kinetic modeling is a key step for lifetime prediction, a crucial problem in many industrial domains in which needs cannot be satisfied by the common empirical methods. 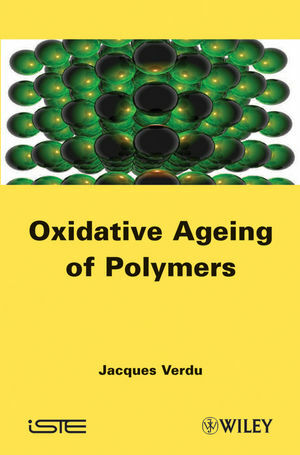 The book proposes a renewed approach of lifetime prediction in polymer oxidative ageing. This approach is based on kinetic models built from relatively simple mechanistic schemes but integrating physical processes (oxygen diffusion and stabilizer transport), and use property (for instance mechanical failure) changes. An important chapter is dedicated to radiation-induced oxidation and its most important applications: radiochemical ageing at low dose rates and photo-chemical ageing under solar radiation. There is also a chapter devoted to the problem of ageing under coupled oxidation and mechanical loading.